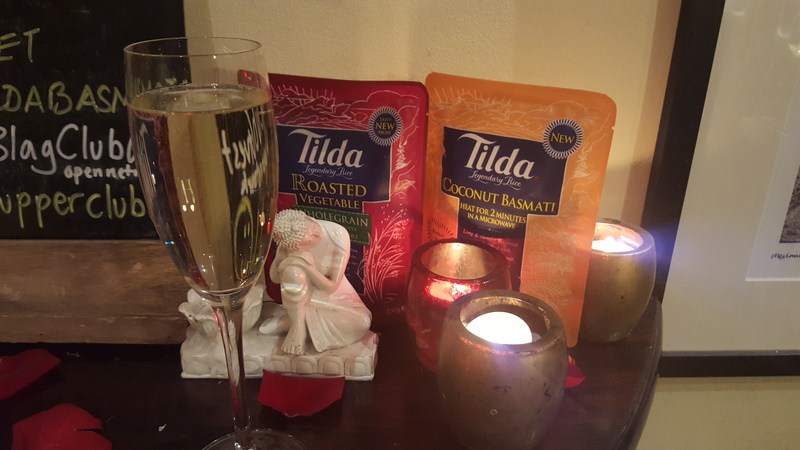 I was very honoured to have been invited to a Tilda® Basmati Supper Club earlier this year hosted by the very talented chef Mallika Basu. 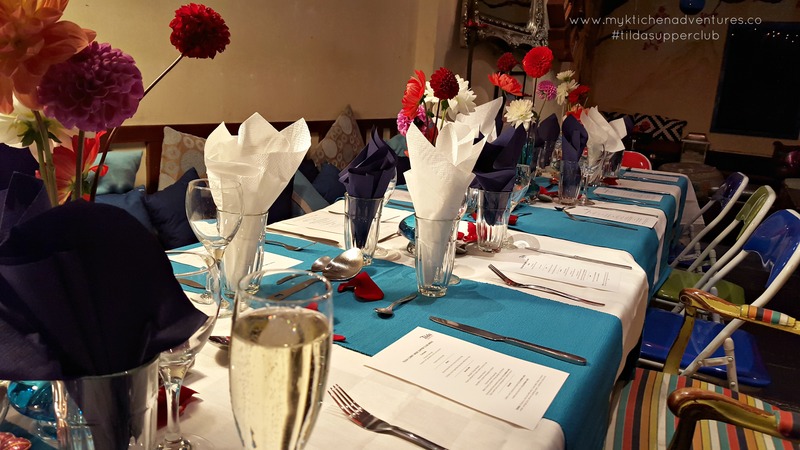 It was a wonderful evening at The Little Yellow Door venue in Notting Hill and it was great to meet some fabulous foodies to share the food made by the awesome Mallika Basu. I was very inspired by Mallika’s menu which included a Chana Dal Khichri made with Brown Basmati. 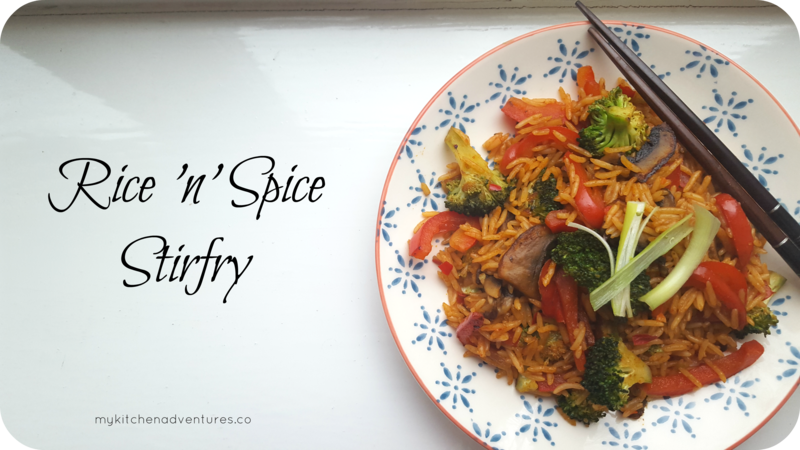 The brown rice gave it a lovely nutty flavour and I always enjoy the texture that Brown Basmati gives to a dish. 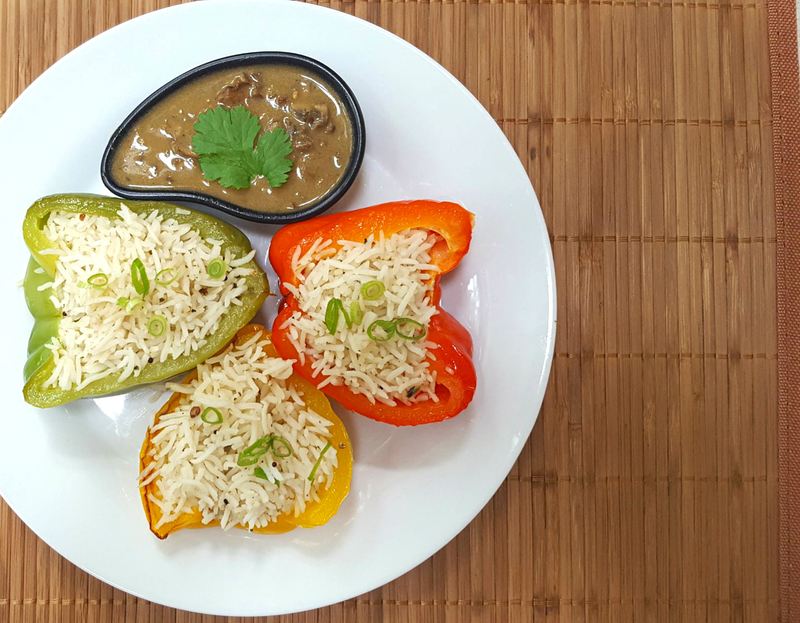 The other vegetarian rice dishes which were all made using different varieties of Tilda® Basmati Rice were South Indian Uthappams and Saffron Cardomum Kheer. 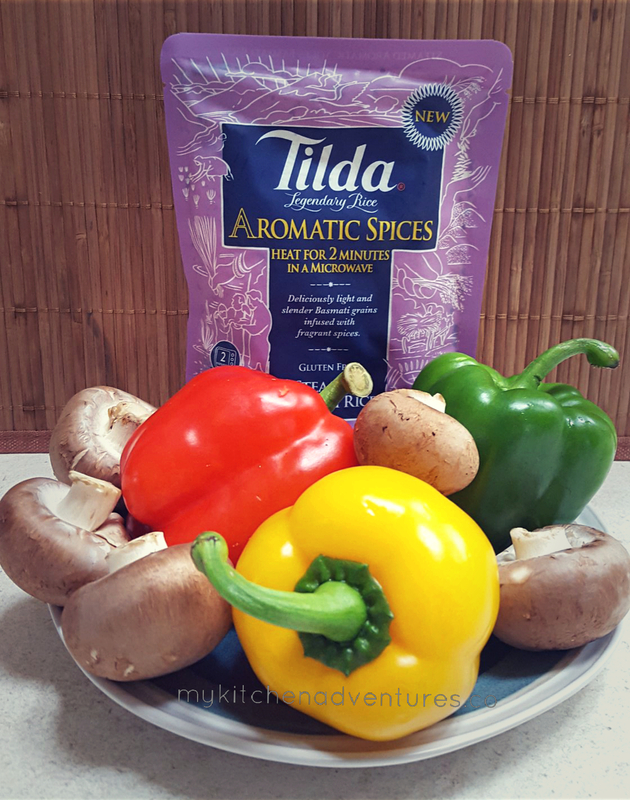 Mallika was very clever in her use of rice and lentils (Urad Dal) for a short soak instead of the long fermentation process that is usually adopted for traditional Uthappam recipes. 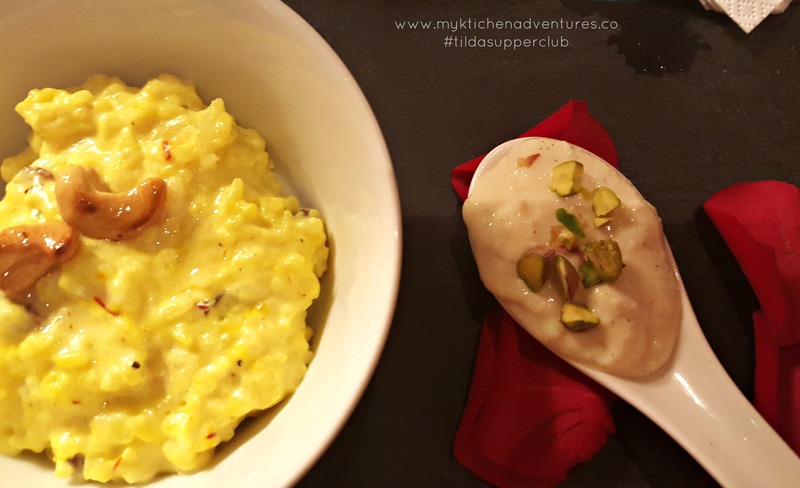 The Kheer also made excellent use of Saffron and Cardomum to give this dish a traditional taste but in half the time if you use a pack of readymade Tilda® Steamed Basmati Rice. Genius! The desserts were a sweet end to the supper and hats off to Mallika for all her inspired dishes! Sweet and decadent Phirni and Kheer…yummm! It was so nice to meet other foodie friends Binny, Gayatri ,Chintal and Suchismita and you can read a great account of the evening and how Mallika inspired all the guests with her recipes at Binny’s Kitchen and Mummy & Me. Firecracker Steamed Basmati Rice. 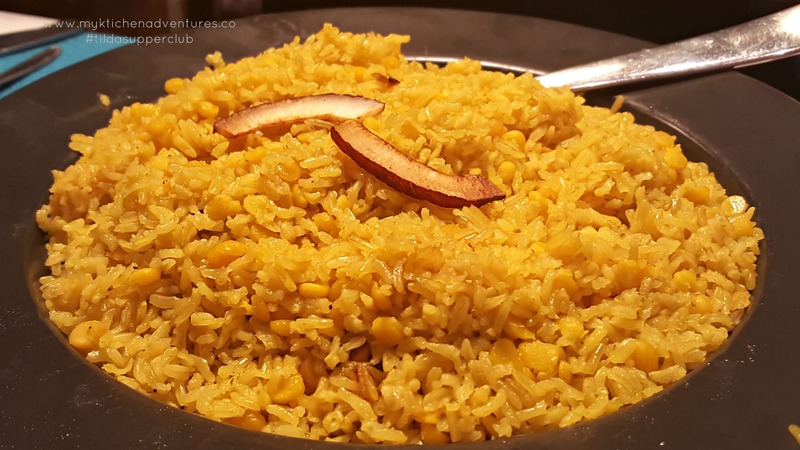 I could’nt think of a better way than adding crunchy vegetables to a flavour packed pouch of this Firecracker rice and I hope you like it as much as I did! Heat the oil in a pan or a wok and then add the ginger and garlic and stir fry for about 2 minutes or until soft. Add the mushrooms, broccoli and peppers and cook for 5 minutes, stirring regularly so all the veg are cooked through. 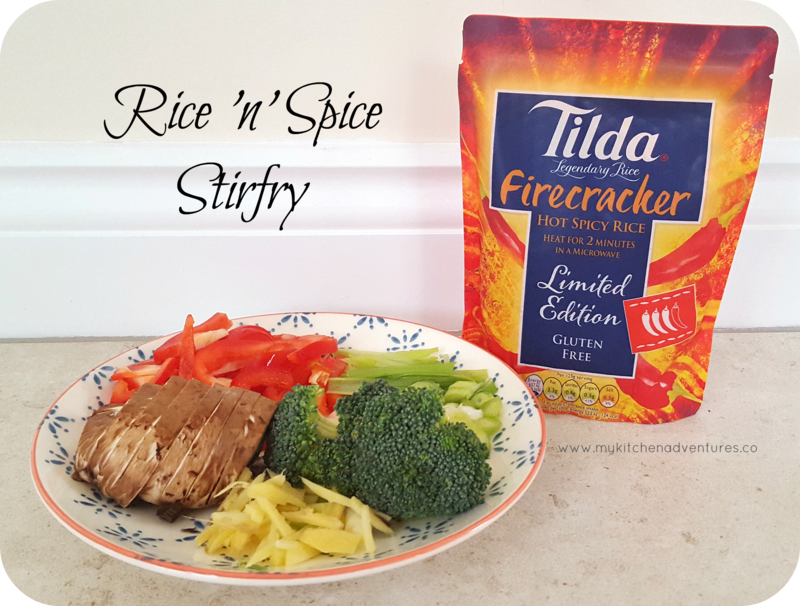 Add any optional spice (Chinese 5 spice, red chillies or Szechuan pepper) and then the pack of Tilda® Limited Edition Firecracker Steamed Basmati Rice and cook for four minutes. Drizzle with soy sauce and garnish with sliced spring onion. Best enjoyed if you gobble it up immediately!